Russian UFC lightweight Khabib Nurmagomedov has been nominated for the title of International Fighter of the Year, which will be announced at the upcoming annual World MMA Awards presented by Fighters Only magazine. 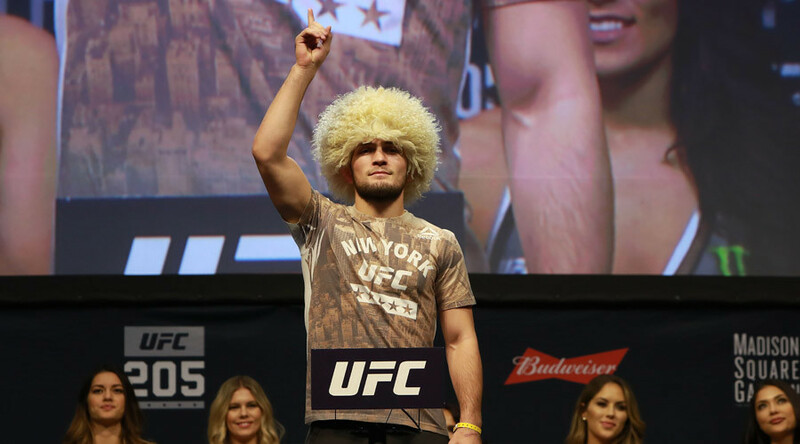 When Nurmagomedov burst back onto the UFC scene in 2016, no one seemed to guess how successful the year would be for the Russian. After two years out through injury, the undefeated fighter announced his return to the UFC octagon with victory over Darrell Horcher in April. Nurmagomedov had originally been scheduled to fight Tony Ferguson, but the American was forced to withdraw due to fitness issues. Later the same month the Makhachkala-born fighter told RT Sport he was eyeing a shot at the lightweight title, although subsequent events left Nurmagomedov frustrated as the year drew to a close. The Russian's name popped up again during the summer, with rumors emerging he was in the mix to fight in the main event of the historic UFC 205 in New York City. But Nurmagomedov was left frustrated as the Irishman McGregor was catapulted into an ultimately successful lightweight title shot against Eddie Alvarez. "The Eagle" was eventually signed to fight at UFC 205 and produced a dominating performance to destroy highly ranked Michael Johnson. The victory took Khabib’s perfect pro MMA record to 24-0, but what he said after the fight made an even bigger impact on his career. The video of his emotional post-fight interview where he, among other things, called Conor McGregor a "chicken that tapped" quickly gained over 1 million views on YouTube, and brought him star status in the MMA world. Nurmagomedov’s success in 2016 has also been noticed by the Fighters Only magazine, which included him in the list of nominees for the 9th Annual World MMA Awards in the category of the International Fighter of the Year, where he will compete with Michael Bisping, Joanna Jedrzejczyk, Conor McGregor and Gegard Mousasi. The awards ceremony will take place on March 2 in Las Vegas, Nevada, and will see a star-packed list of nominees.